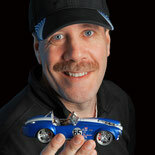 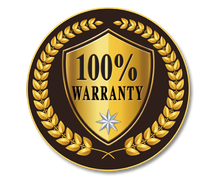 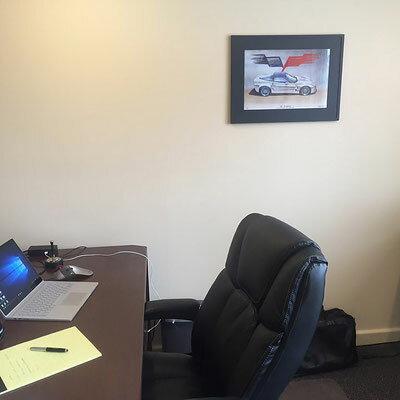 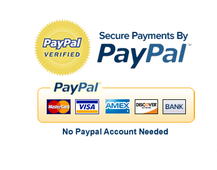 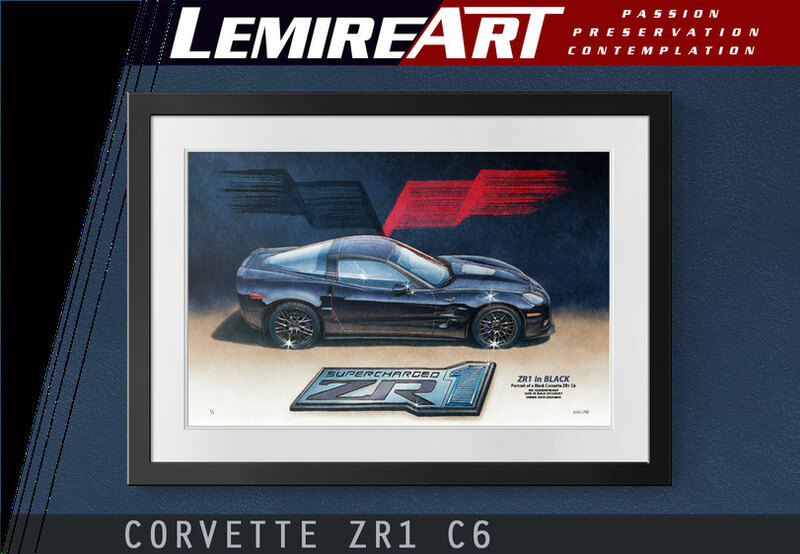 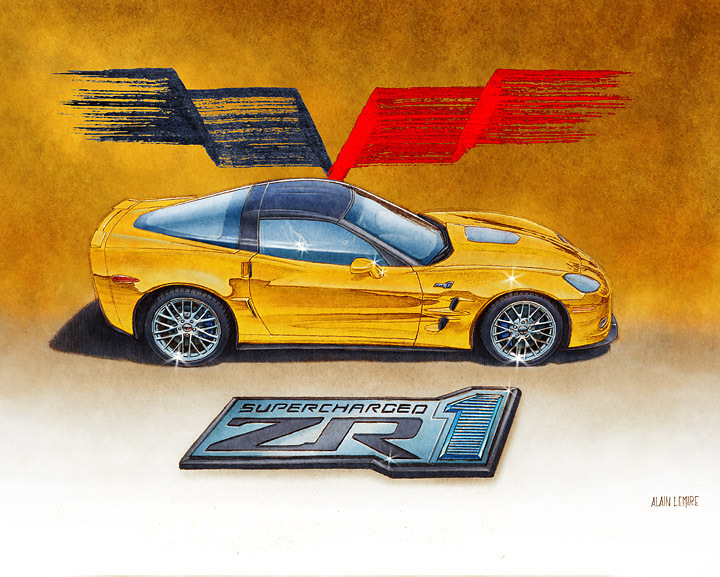 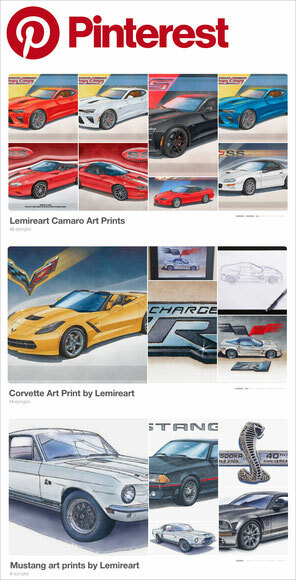 The print is would make a great addition to owners and die hard fans of the great Corvette ZR1 C6 collection of items. 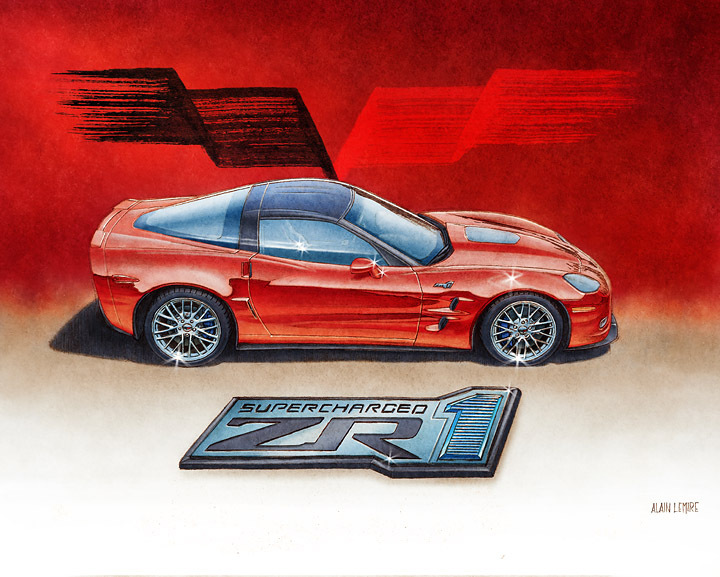 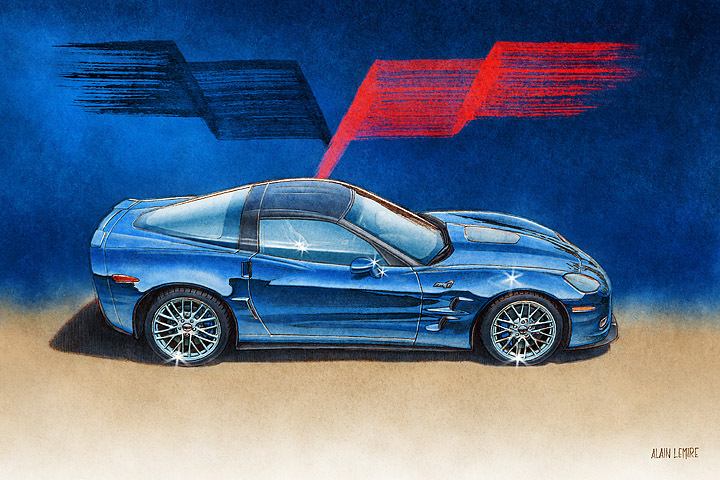 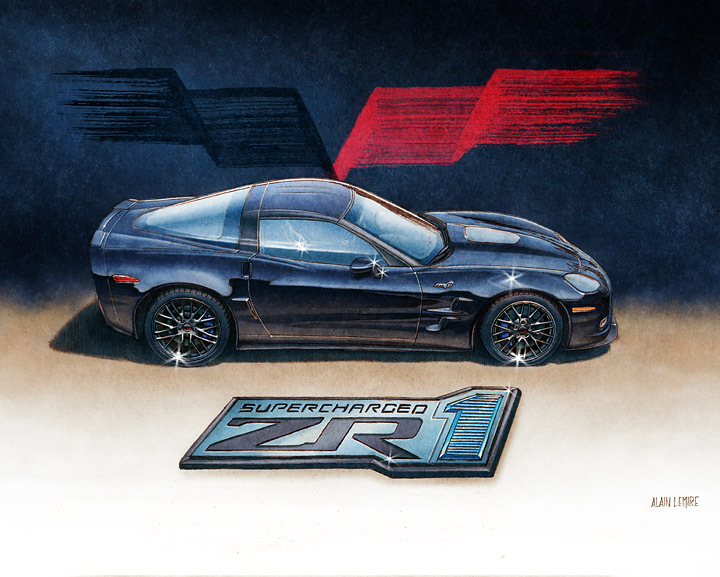 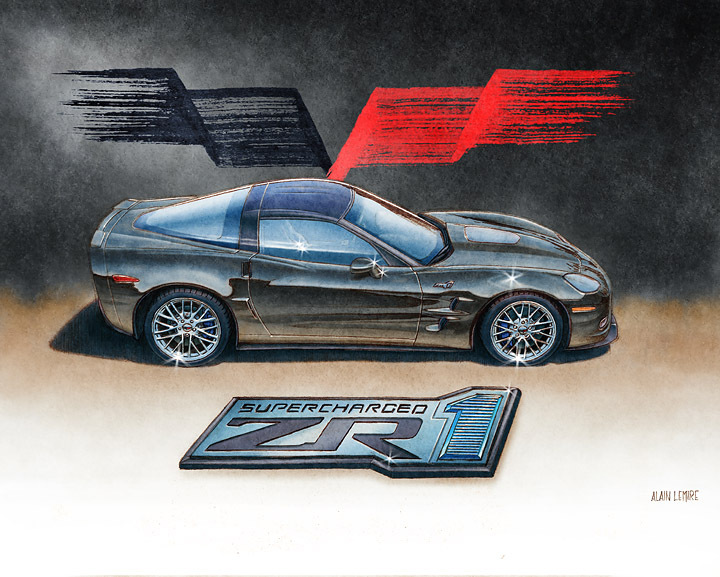 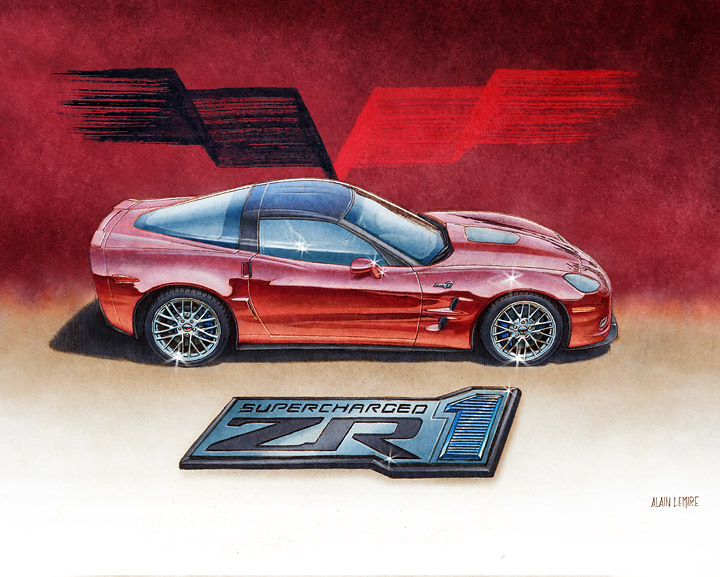 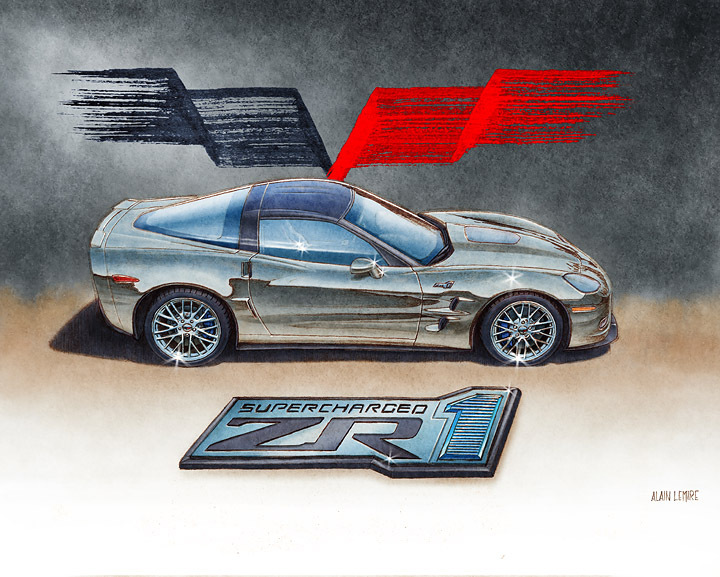 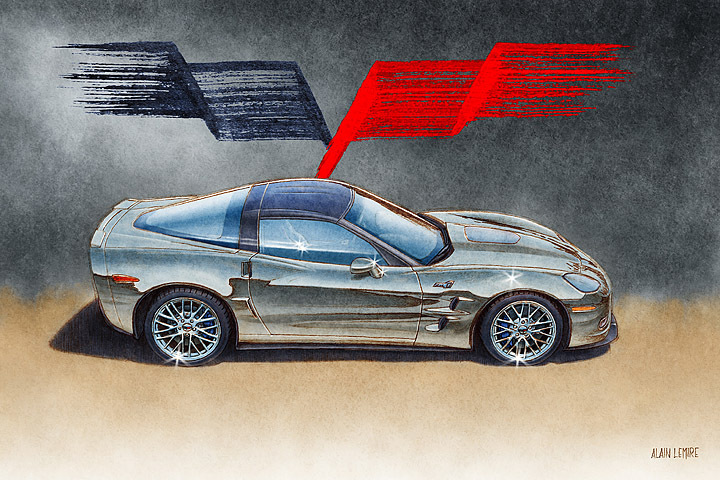 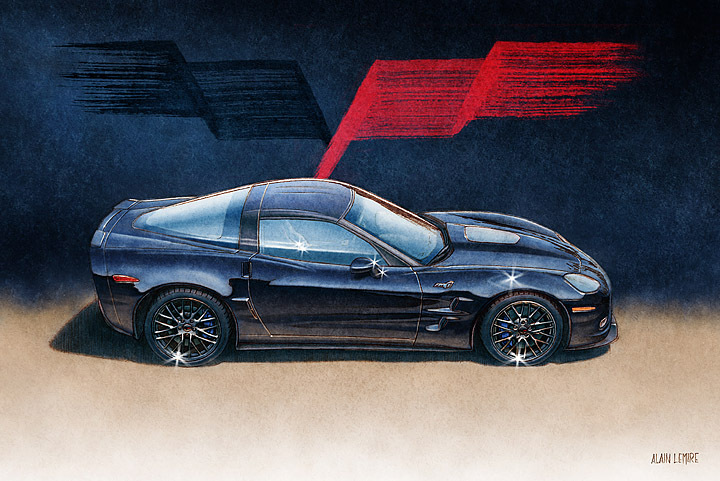 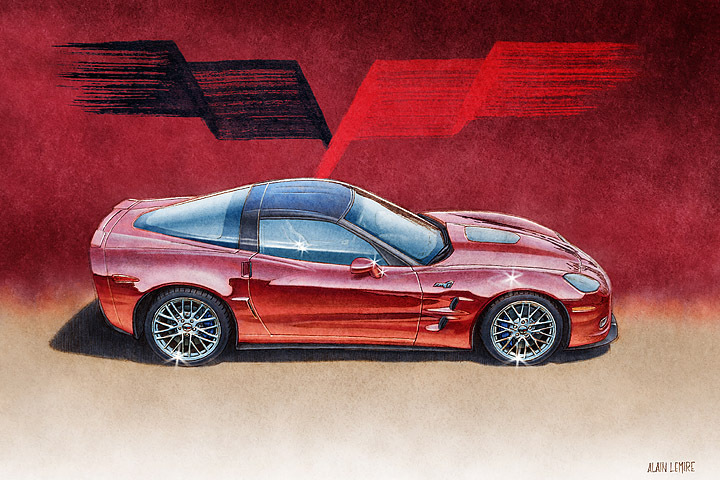 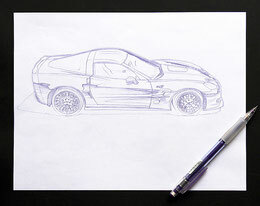 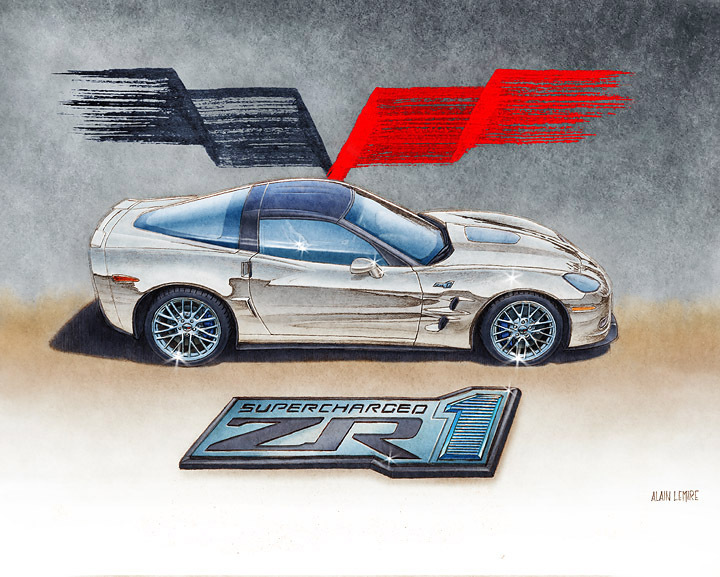 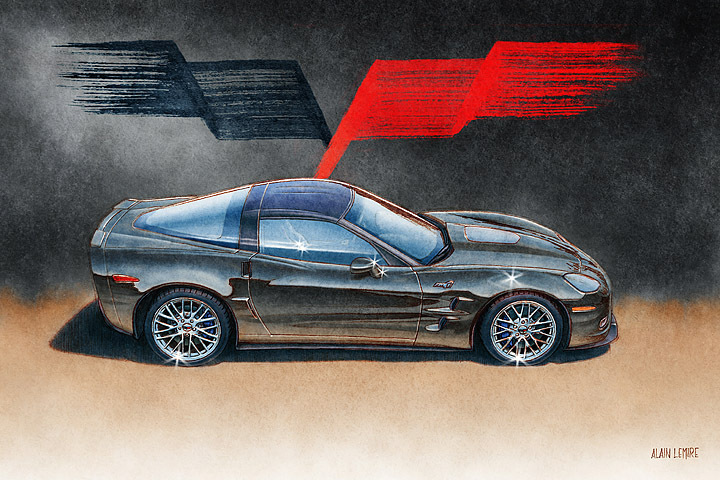 The Corvette ZR1 was drawn using a 0,7 mm violet lead automatic Pilot Color Eno pencil. 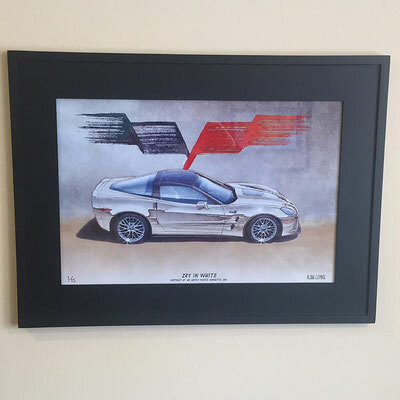 I use a reference picture that I shot during a car show. 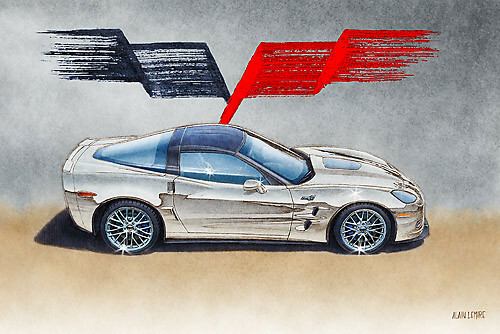 A minimalist version of the Corvette hood emblem was drawn with a 1 inch large brush using a calligraphy inspired technic. Watercolor was used and the brush was previously dried to get the multiple line strokes. 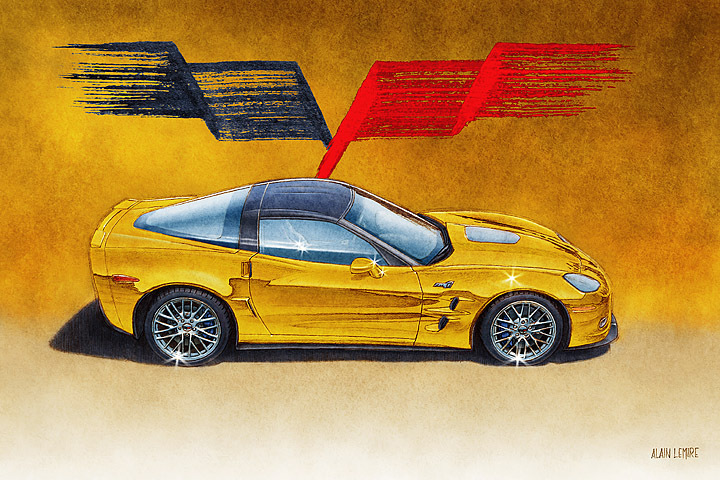 The illustration was colored in Photoshop using custom brushes and few body colored versions of the illustration may be produced by using adjustment layers. 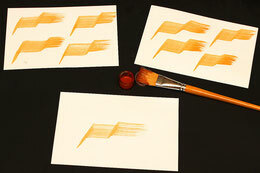 Emblem flags were photographied and added to the digital artwork. 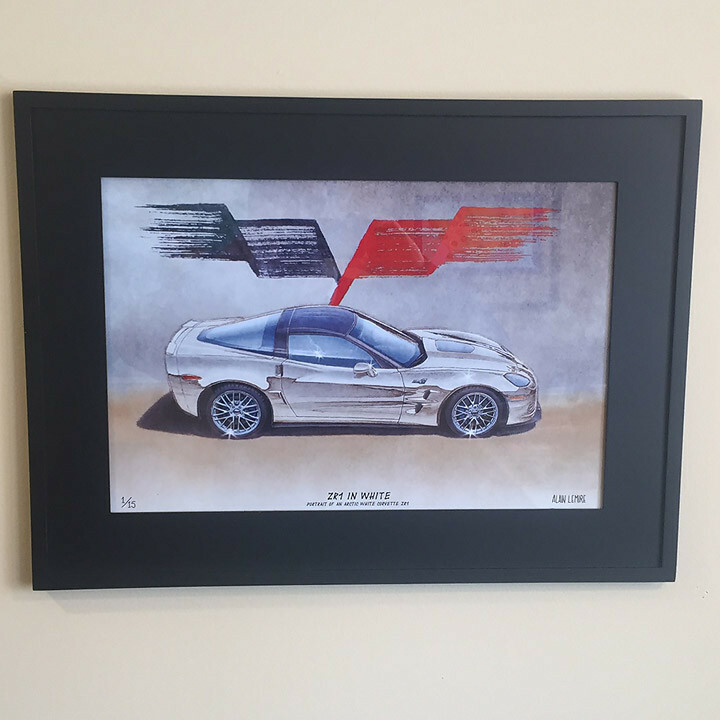 WHAT I DO FOR CUSTOMER AND HOW THEY FRAMED IT!